At the exhibition Van Hieruit, PARK organizes an in-depth evening on Thursday 28 March at 8 pm. On this evening Leonard Bedaux shows a wide selection of films from his entire oeuvre that is characterized by contemporary absurdism from our own soil. Especially for PARK he made the film Tuinbouw (Horticulture). He shows old and new work with among others the video "Rhododendrons", recorded in the Wilhelminapark in Tilburg. An ode to the annual spectacular flowering of this shrub. 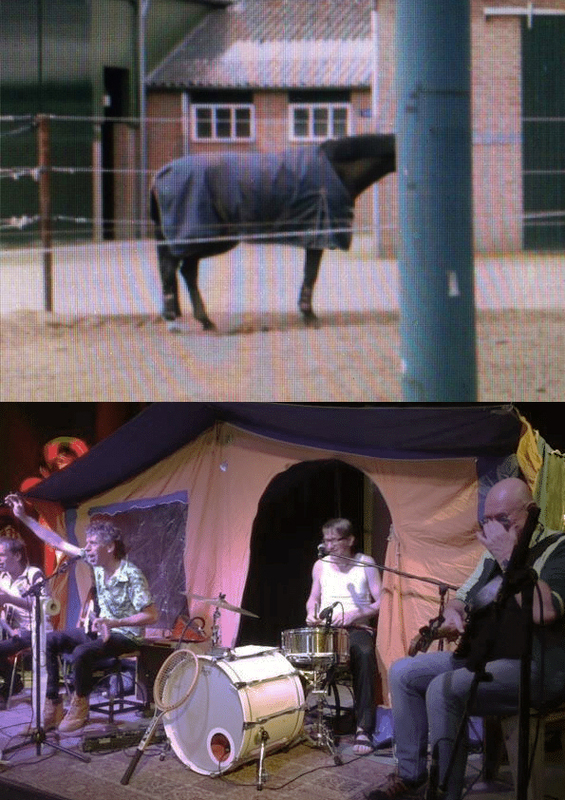 Paul van Rijswijk plays in several bands, which is why we can treat you to the infectious music of the Familie Bungalowtent, following the films of Leonard Bedaux. Only with own songs, of course, in which camping life is centra,l but where various sports, human shortcomings and car radios are also ground to musical gems. Catchy songs, unbridled enthusiasm mixed with natural charisma, as we are used to in the city of makers.